Kurtas for mens- Cotton dobby fabric in Mustard colored. 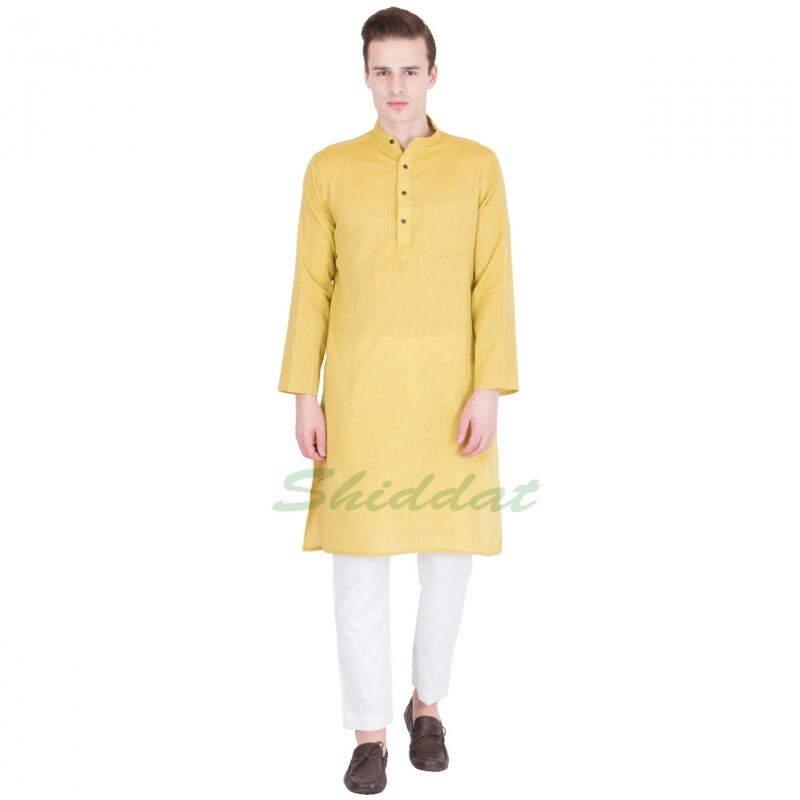 Classic fit and clean cut, this mustard colored long kurta for men is a glorious addition to any attire. 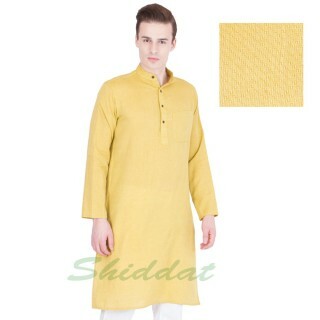 This dashing kurta with dobby weave will keep you looking modest, professional, and rakish at the same time. 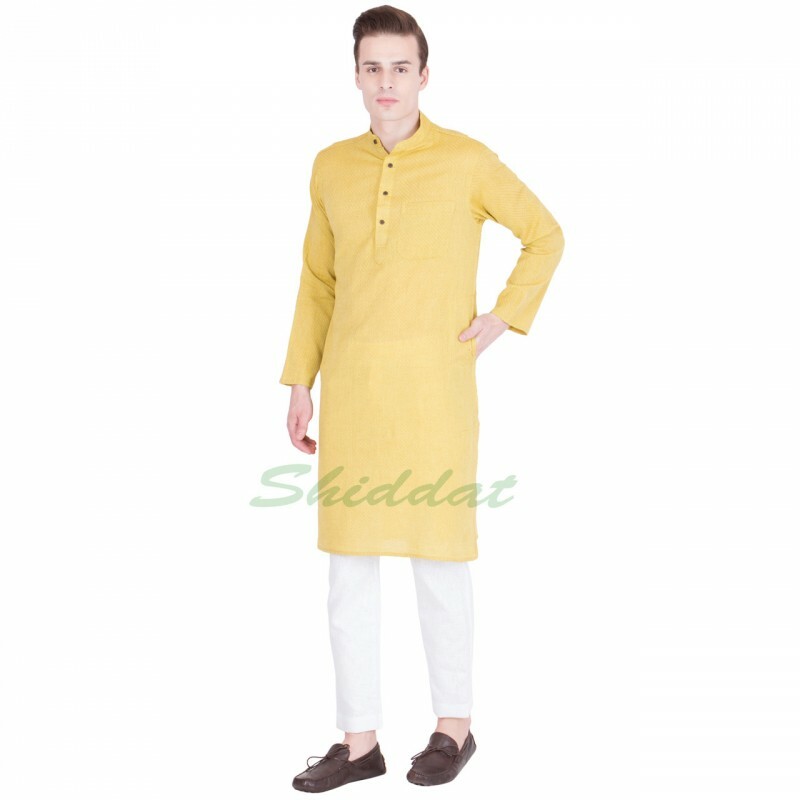 Tailored to fully cover the torso and fall below the knees, this cotton punjabi kurta is perfect for transitional weather and looks just as good with a pyjama as it does with a pair of cotton pants or jeans. 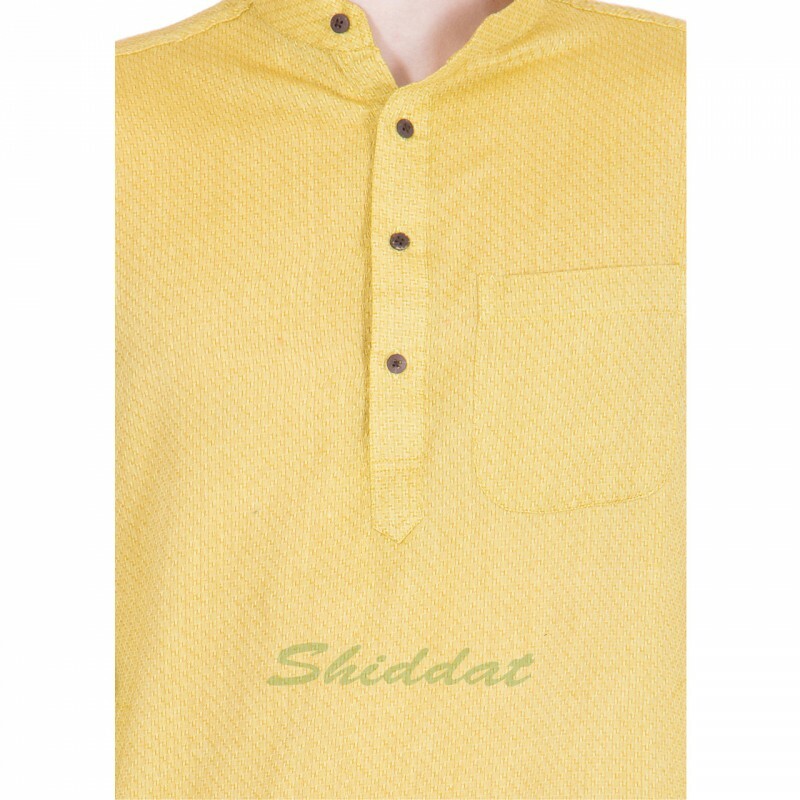 Cotton fabric with dobby weave. Disclaimer- Slight variation in product color is possible. 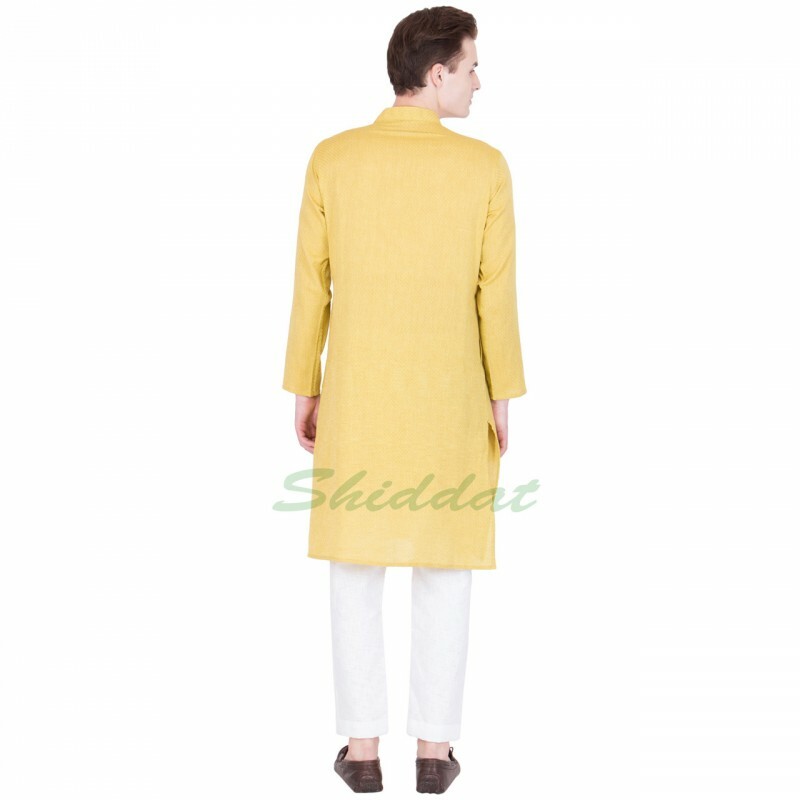 Cash on delivery as well as online payment option is available for this men's kurta.